With Google quickly becoming the biggest company on the internet, it’s easy for marketers to see the benefits in marketing their products through their search engine. With a massive range of opportunities available for exposure, ranging from PPC advertising, sponsored links, and of course SEO, there’s literally a buffet of options out there for marketers. However, with these options comes the intense popularity and competition associated with Google. 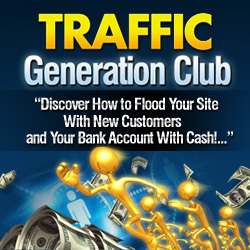 When you’re on Google, you’re competing with hundreds, maybe even thousands of other websites desperate for your traffic. Instead of being the big fish in a small pond, you’re the invisible fish stuck in the ocean. #1 – You get a higher converting audience. Sound a little strange? Lets explain it in detail. Google’s audience is made up primarily of the more tech savvy demographic of internet users, the type that tend to block advertising and simply mouse over affiliate pages. This isn’t the kind of audience that most marketers want to appeal to. With other search engines offering much older, richer, and less marketing-scared audiences, it’s often best to target them. Bing, for example, has a much older demographic than Google. #2 – Alternative search engines can provide greater benefits, and for less work. While Google is the giant of the online world, it’s also one that isn’t highly targeted and thus difficult to effectively market an online product on. With the massive amount of competition out there, including huge companies with million dollar marketing budgets, it’s getting increasingly difficult to have your small scale business websites rank for the relevant keywords. By focusing your limited marketing resources on smaller search engines, you can ensure that you get the best traffic for the lowest price. #3 – Other search engines are less strict than Google. Google is renowned for it’s tight and strict policies surrounding advertising usage, the ranking of affiliate sales pages, and republished content. With these restrictions around, the price for competing on Google becomes significantly higher still, as you need to make sure that your websites abide by a laundry list of terms and conditions. Instead of wasting time running through the massive amount of terms that Google dictates, let yourself have it easy and run with a less strict and more simple search engine.